A 50% wool, 50% silk blend. 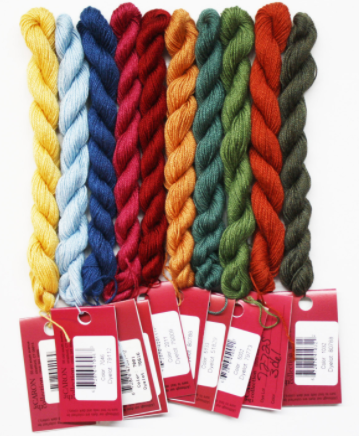 It is very versatile and can be used on fine linens as well as larger counts of needlepoint canvas. You can often control the look of your stitches to create either a sculptured or a satiny look simply by adding or subtracting one strand. The blend of wool and silk gives a unique appearance as the two fibers reflect light differently, giving your stitching great depth.